By completing this form and submitting full payment, I agree to abide by the terms of operation for all exhibitors at Americana Festival, as outlined in the description at the bottom of this form. 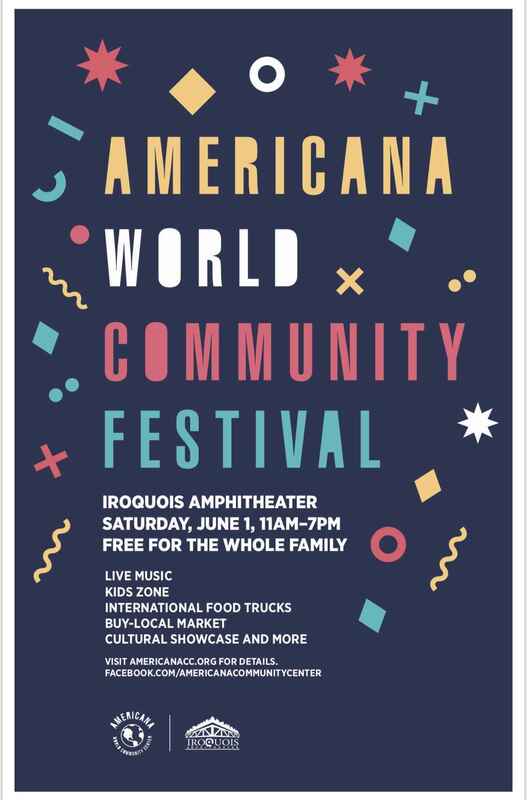 Americana World Festival is a family-friendly, multicultural celebration that features diverse international performances and cuisines, activities for children, and an array of community resources and vendors. We're excited for you to join us. All vendors are required to have a tent and a table, but you are welcome to bring your own supplies. If you are bringing a tent, it must fit in the 10'x10' booth space. We are happy to provide a table, chairs, and access to a shared tent at the rate provided by the rental company without an up-charge. In the registration form, please choose the option that meets your needs. *NOTE: This is a master vendor event. You do not need to get your own vendors license. OPERATING HOURS: Set-up begins on the day of the festival at 10am and should be complete by 11am. Booths must staffed at all times and be operational until 6pm. Exhibitors must begin to shut down at 7pm, clean up and remove all items from the property by 8pm. LOAD-IN: After you are shown to your spot, please unload your vehicle/s before setting up your tent or any part of the booth. Please just promptly unload all of your things out of your vehicle then immediately move your vehicle out of the community corner area. PARKING: Parking is available in the Iroquois Amphitheater parking lot. VENDOR SPACE ASSIGNMENT: Vendors will be assigned a 10'x10' space along Rundill Rd. prior to the day of the festival. Please include any special requests about space assignment in the registration form and we will accommodate your requests as much as possible. Special requests ARE NOT guaranteed. WEATHER: The event will be held rain or shine. To reserve your booth space in the Marketplace at Americana World Festival, please fill out the following form and submit correct payment. Payment may be made via check (made out to Americana) or online and is mandatory for all exhibitors. Full payment must be received by May 20th. Any changes to registrations must be communicated to Antigona at antigona@americanacc.org by May 20th. On Point Handcrafted Jewelry, Bessie Stinson/Kara Arn. Registration for Americana Festival. Morales Group Staffing is a proud supporter of the American World Community Center, who's mission and values go hand in hand with ours.